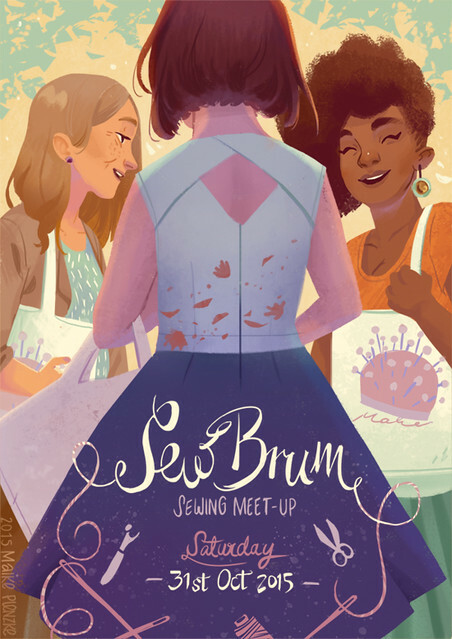 As in previous years, we’ll be holding a raffle at the SewBrum meet-up this Saturday! Raffle tickets are only on sale to attendees on the day of the meet-up and the raffle will be drawn in the afternoon at Guthrie & Ghani. All money raised by the raffle, along with donations in exchange for tea and cake at Guthrie & Ghani, will be donated to the Eve Appeal. Lots of lovely companies have generously donated raffle prizes. I’m demoing a lot of the prizes in this video, or see the full list and photos below. (P.S. I mispronounced a couple of things in the video, but only had a limited window of sunlight yesterday evening after getting home from work, so no retakes!). 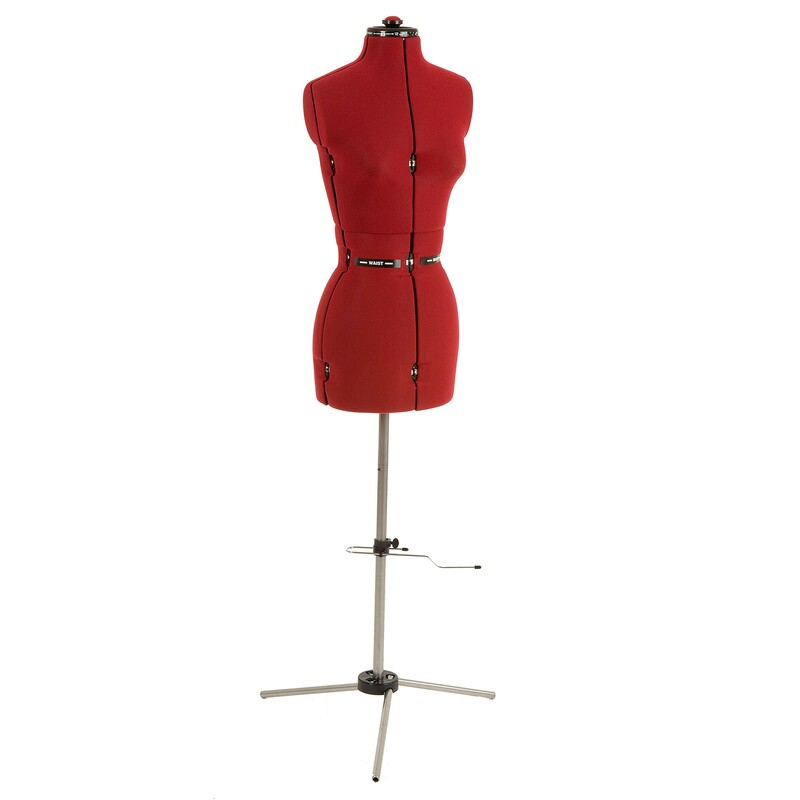 ♥ Sew Essential have donated an Adjustoform Supafit Standard Dress Form. 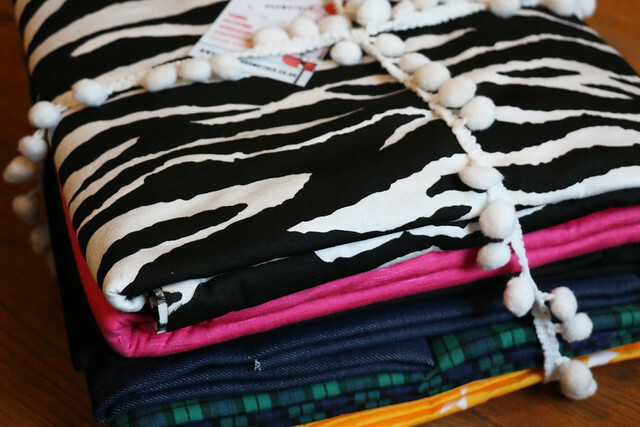 The dress form comes in four sizes so the winner will be able to select their preferred size. 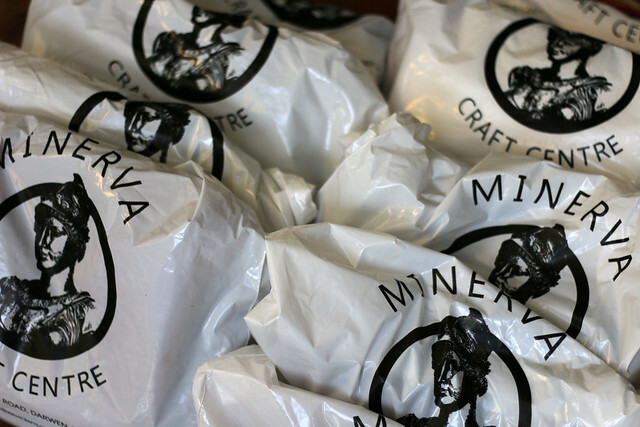 ♥ Minerva Crafts have donated a big fabric bundle worth £100. 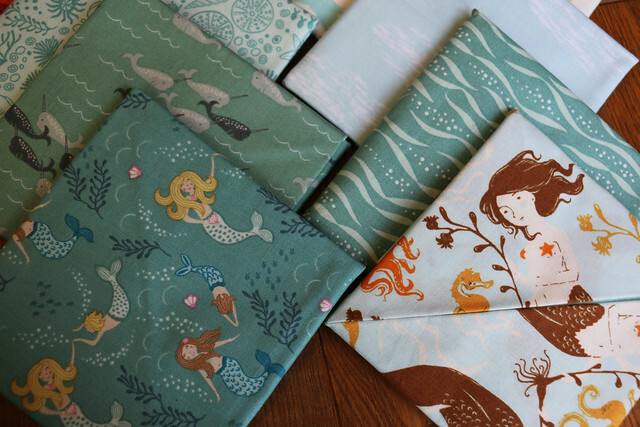 ♥ The Sewing Directory have donated two beautiful FQ packs: Lewis & Irene Under the Sea and Heather Ross Mendocino. ♥ Prym have donated sewing boxes filled with a range of sewing supplies. 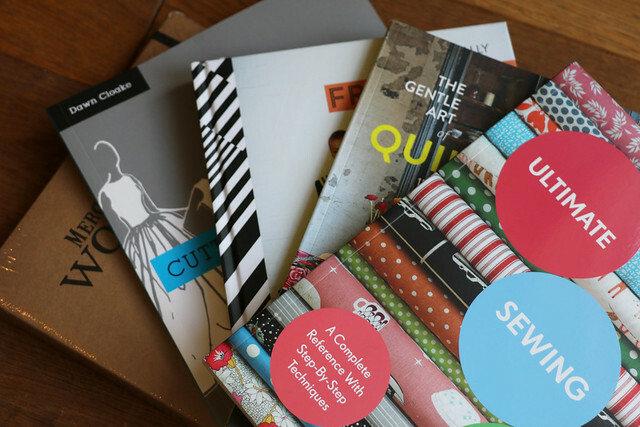 ♥ Pavilion are donating five of their recent sewing books: Merchant & Mills Workbook, Freehand Fashion by Chinelo Bally, Cutting & Draping Party and Eveningwear by Dawn Cloake, Ultimate Sewing Bible by Marie Clayton, and The Gentle Art of Quilt-Making by Jane Brocket. 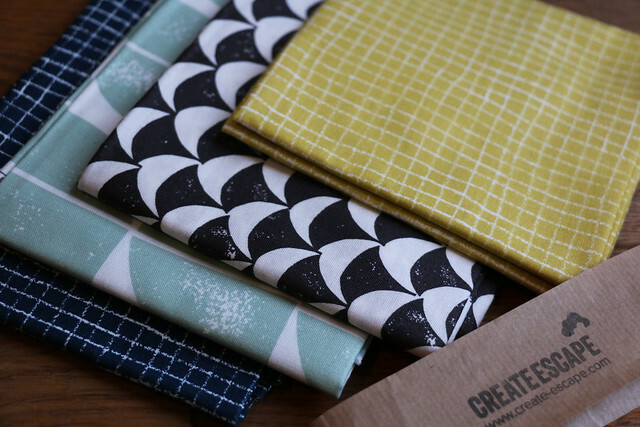 ♥ Crafty Sew & So have donated a £25 voucher for their online or bricks & mortar shop, based in Leicester. 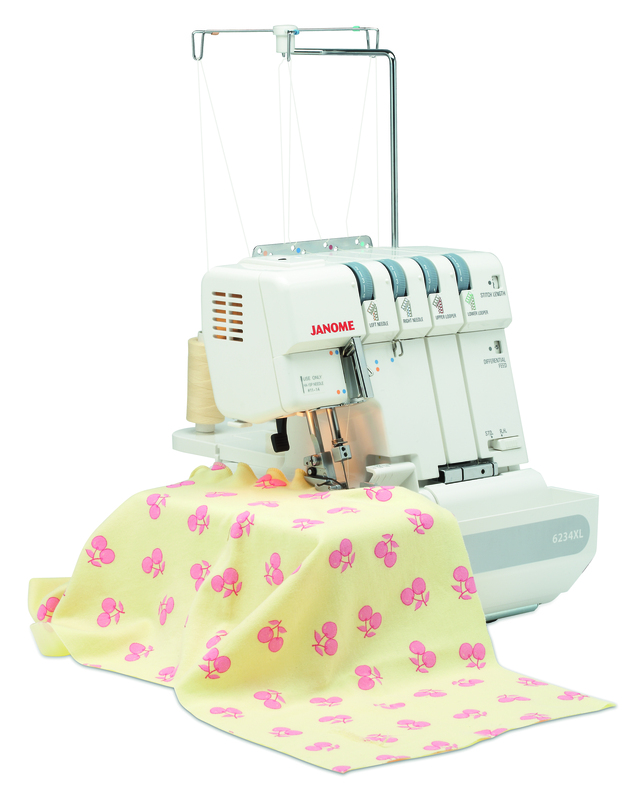 ♥ The Crafty Mastermind have donated a kit to make Tilly & the Button’s Coco, with plenty of fabric for a dress or top version. 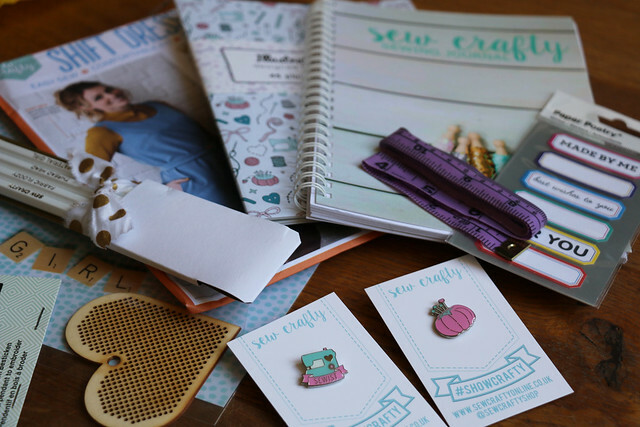 ♥ Sew Crafty have donated a selection of goodies including pin badges, crafty pencils, and crafty notebook. 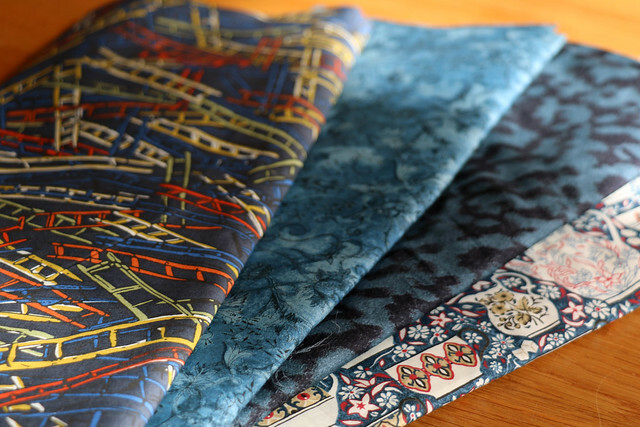 ♥ Create Escape have donated a four fat quarter bundle of Lotta Jansdotter’s latest fabric collection. 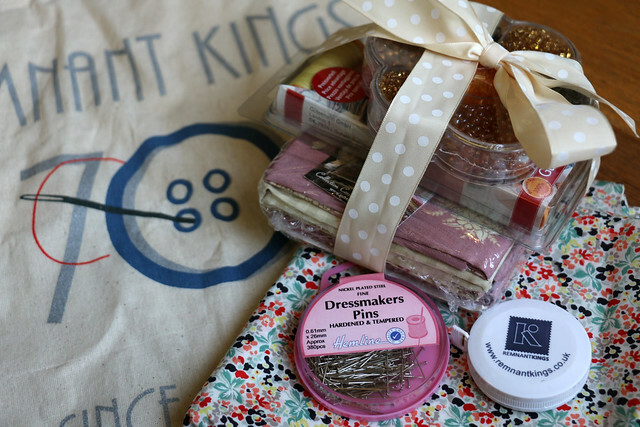 ♥ Remnant Kings have donated a tote bag containing a selection of haberdashery goodies. 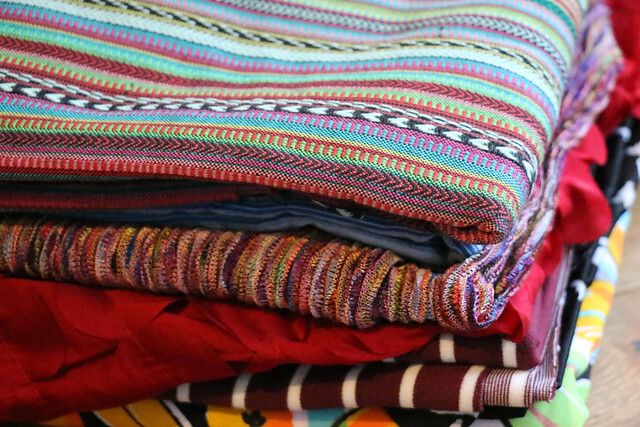 ♥ Fabric Godmother have donated a beautiful £100 fabric bundle, with a mix of knits and wovens. 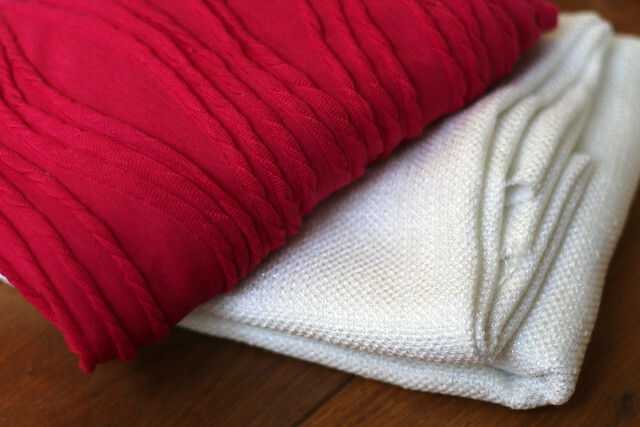 ♥ Plush Addict have donated an 11 reels selection of Gutermann sew-all thread, and a 9 FQ pack from the Tilda Spring Diaries Collection. 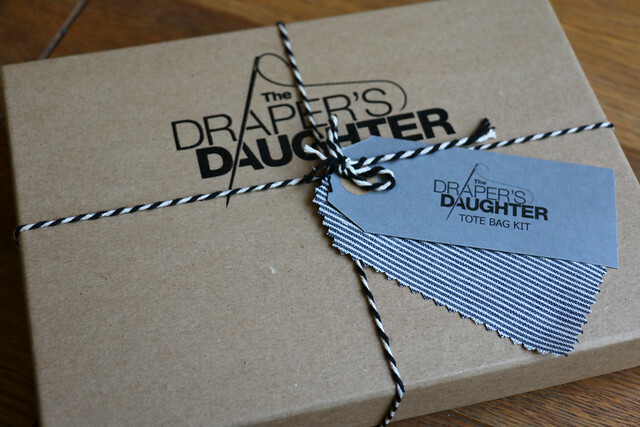 ♥ The Draper’s Daughter have donated a lovely Tote Bag kit. 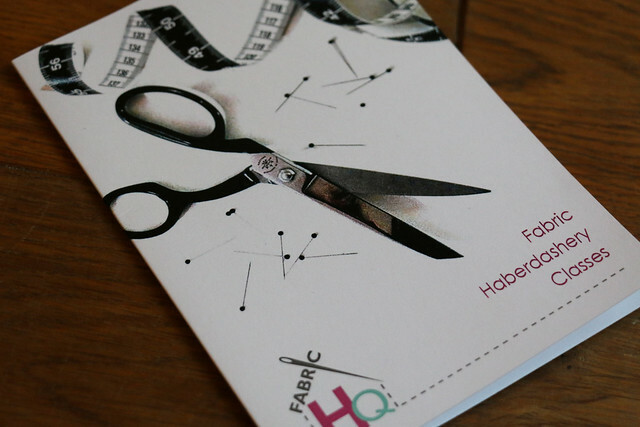 ♥ FabricHQ have donated a £20 gift voucher. 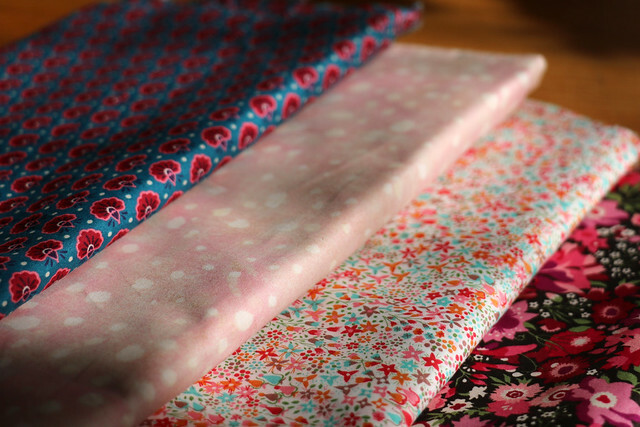 ♥ Abakhan have donated two Liberty fabric bundles. 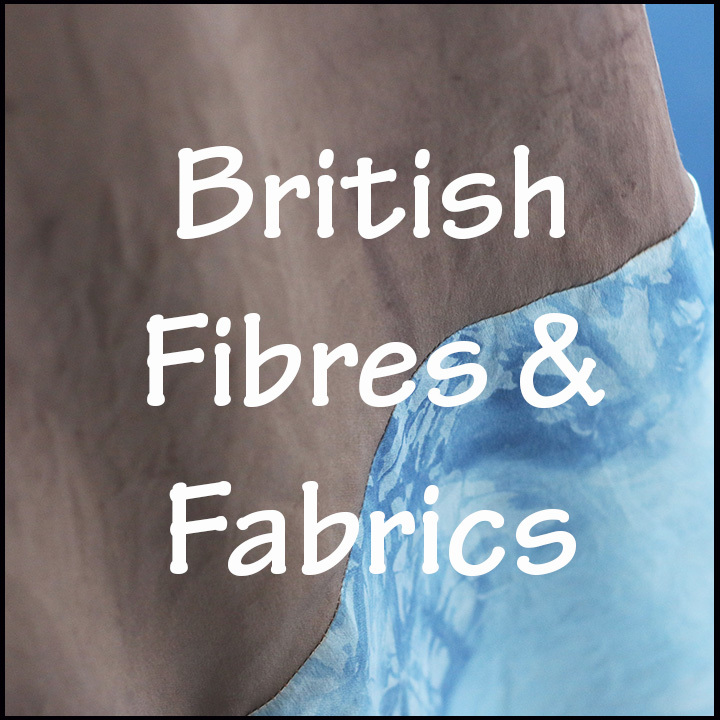 ♥ Fabrics Galore have donated a £20 gift voucher. 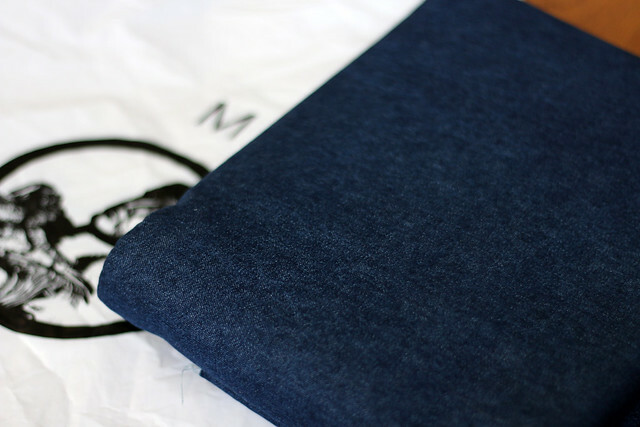 ♥ Dragonfly Fabrics have donated a Katha Tunic sewing kit, with all required supplies to sew a tunic in a lovely Japanese cotton. 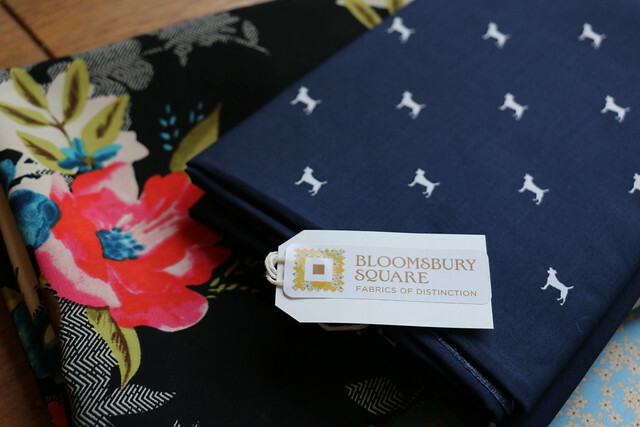 ♥ Bloomsbury Square have donated a fabric bundle, containing 2 metres of crepe, and 1.5 metres of cotton. 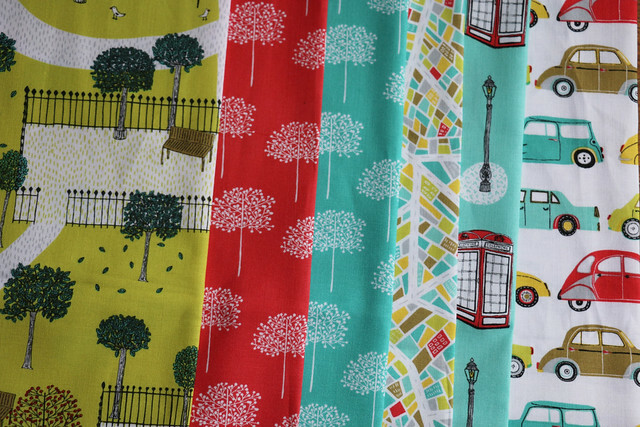 ♥ FabricPunk have donated a FQ bundle of six Dashwood Studio fabrics. 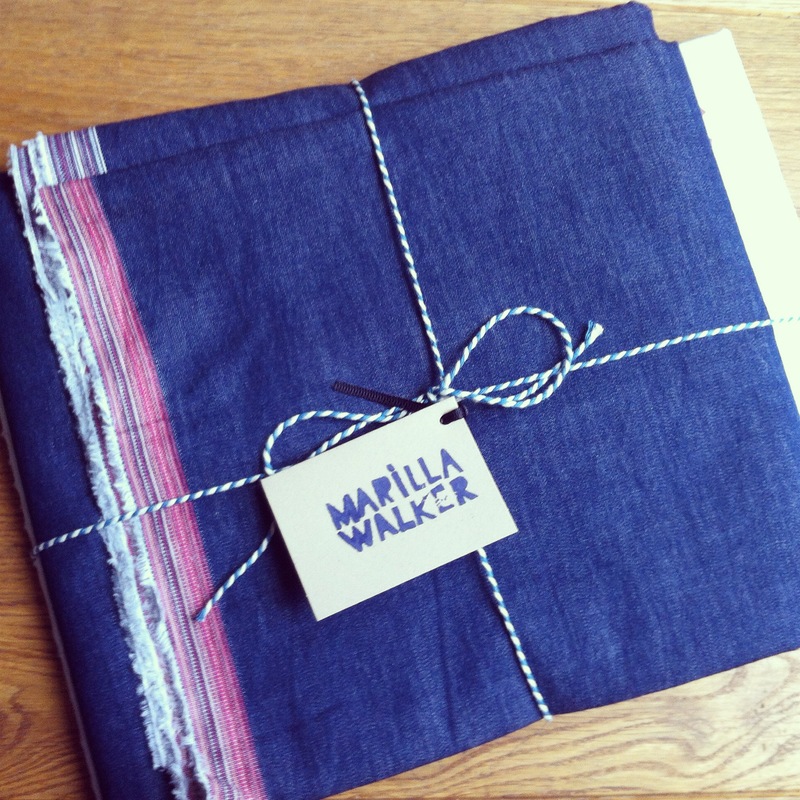 ♥ Village Haberdashery have donated a voucher for their online and bricks-and-mortar store. 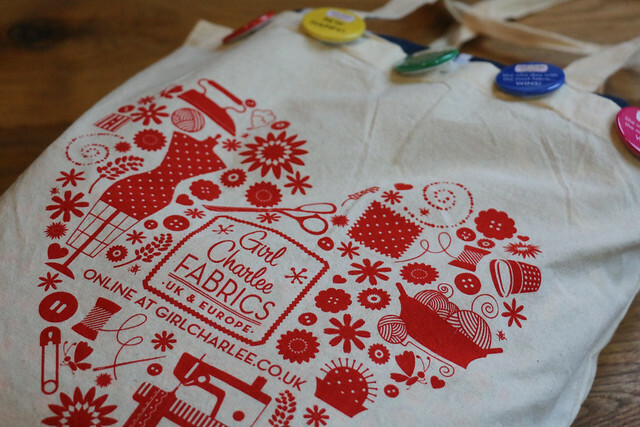 ♥ Girl Charlee have donated a fabric bundle worth £100 in one of their tote bags. 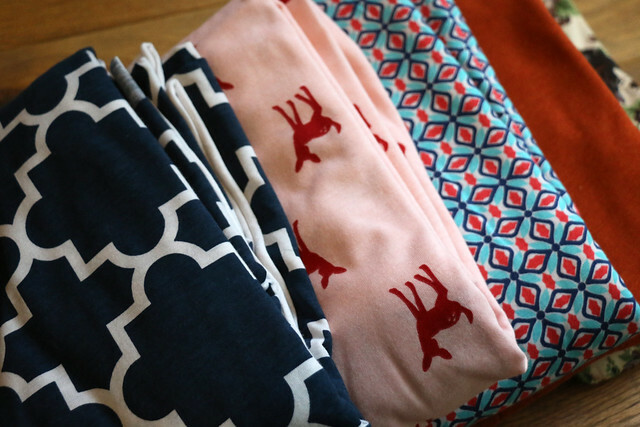 Two metres of each of the following fabrics ar included: Quatrefoil Oxford Blue Cotton Jersey Blend Knit Fabric, Coral Blue & Red Diamond Floral Geo Jersey Rayon Spandex Knit, Plum Grey Rose Floral on Taupe Cotton Jersey Knit Fabric, Heather Burnt Orange Solid Baby Cotton Jersey Knit Fabric, Fawn Silhouette on Rose Cotton Jersey Blend Knit Fabric. 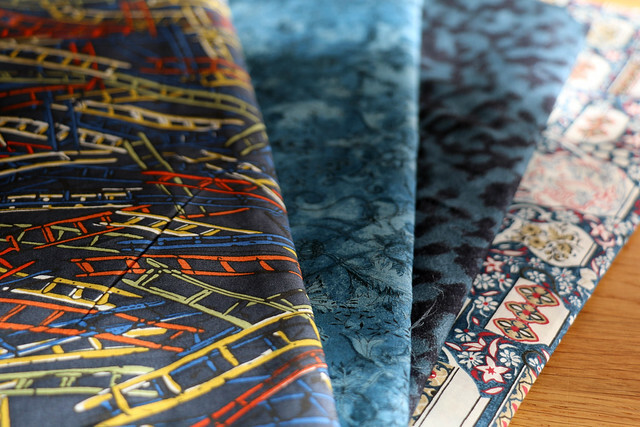 ♥ Adam Ross Fabrics have donated a £35 voucher for their (Birmingham-based) online store. 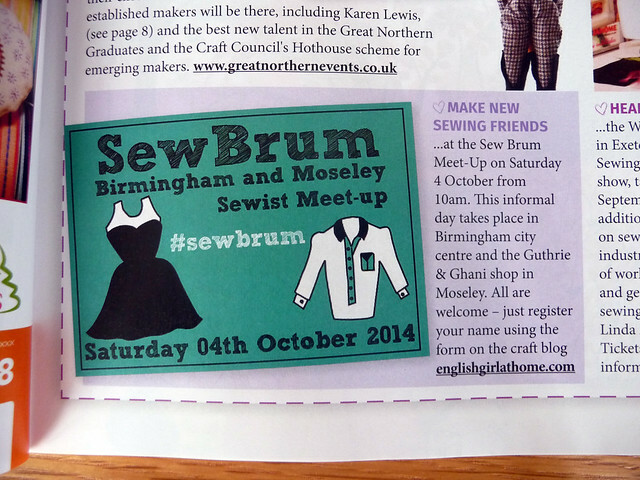 Categories: meet-up, sewbrum, Sewing | Tags: #sewbrum, Birmingham, meet-up, raffle, sewcialist, sewcialists | Permalink. 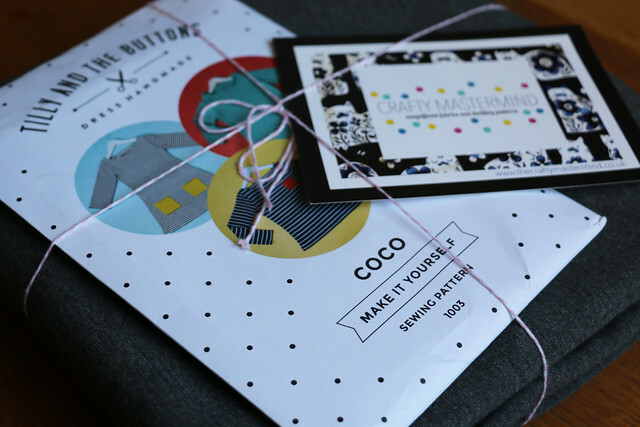 Like last year, we’ll be holding a raffle at the SewBrum meet-up on 31st October. Raffle tickets are only on sale to attendees on the day of the meet-up and the raffle will be drawn in the afternoon at Guthrie & Ghani. 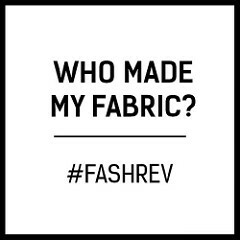 All money raised by the raffle, along with donations in exchange for tea and cake at Guthrie & Ghani, will be donated to the Made Up Initiative. 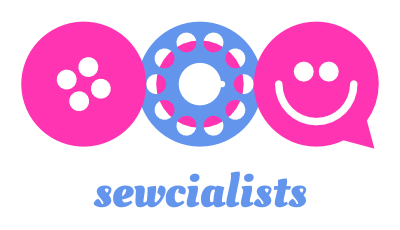 Given that the sewing community is already backing the Initiative it seemed like the perfect charity. 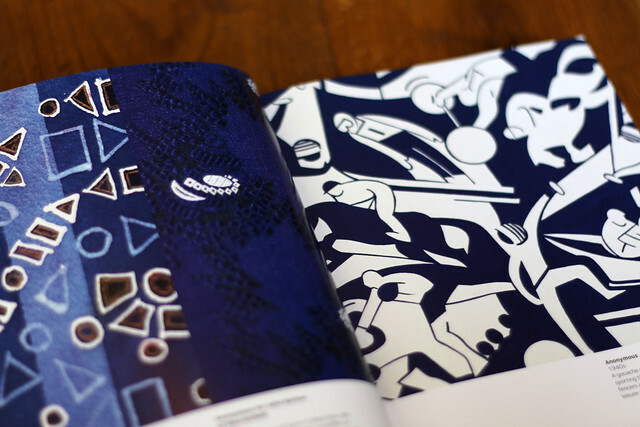 Made Up has already raised £2500 for the National Literacy Trust. Hopefully we’ll be able to help Karen add even more money to that total. 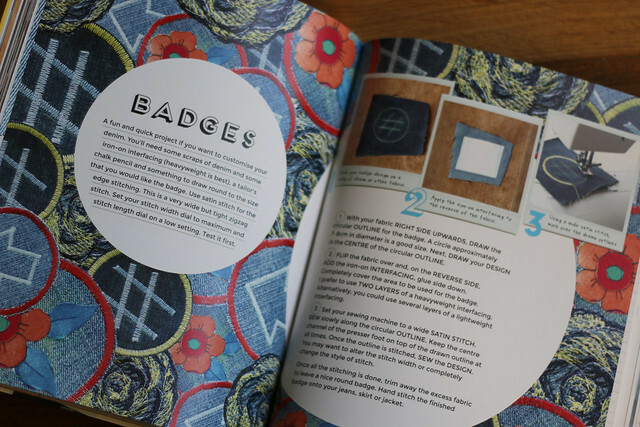 If you’ve made a garment or accessory as a Made Up pledge why not wear it to the meet-up? 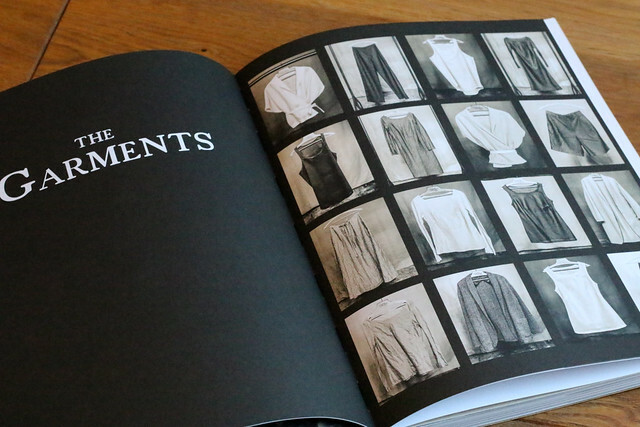 It would be great to see some of those pledge garments in person. 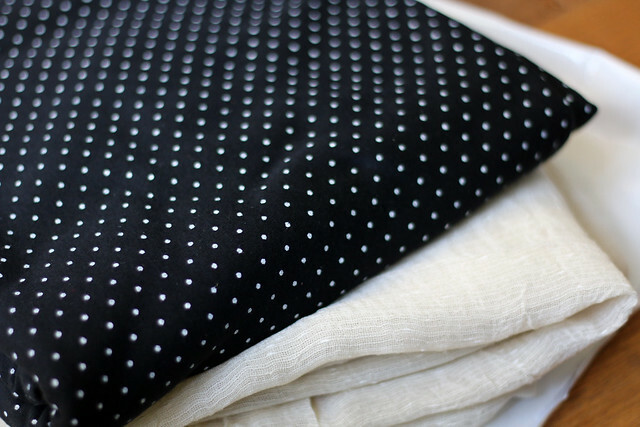 ♥ Lutterloh will be providing a demo of their pattern making system during the meet-up, and have donated a pattern making manual including tailor and designer curves and two rolls of drafting paper. 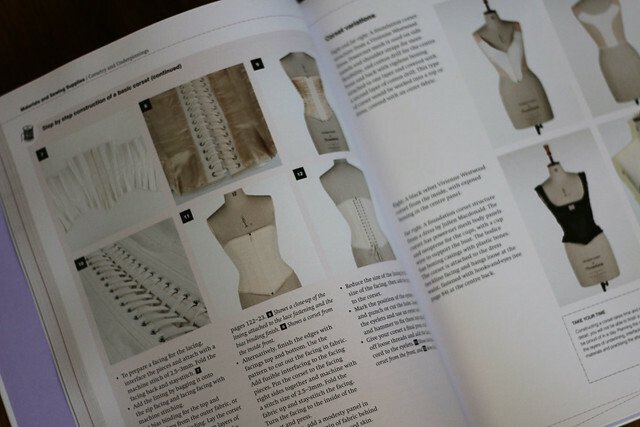 Invented in the 1930s, the system uses the Golden Rule Principle to take key body measurements and scale different sewing patterns. 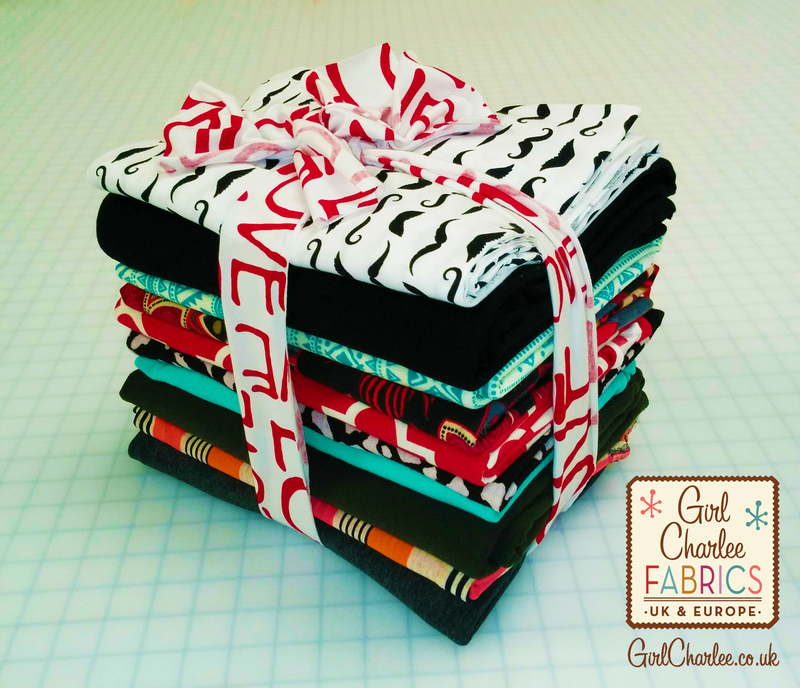 ♥ Girl Charlee UK have donated a bundle with 10 metres of assorted fabrics. (Fabrics included in the bundle are: Black Mustachio on White Cotton Jersey Blend Knit Fabric, Licorice Black Cotton Jersey Sweatshirt Fleece Knit Fabric, Turquoise Aztec Glyphs on Ivory Ponte de Roma Fabric, Grey Red Euro Floral Cotton Jersey Knit Fabric, Quatrefoil Samba Red Cotton Jersey Blend Knit Fabric, Black Mauve Scattered Spots Baby Hacci Sweater Knit Fabric, Mint Green Solid Cotton Spandex Knit Fabric, Deep Forest Cotton Modal Lycra French Terry Knit Fabric, Maya Stripe Azulon Coral Cotton Jersey Blend Knit Fabric, Heather Charcoal Grey Solid Cotton Spandex Knit Fabric). 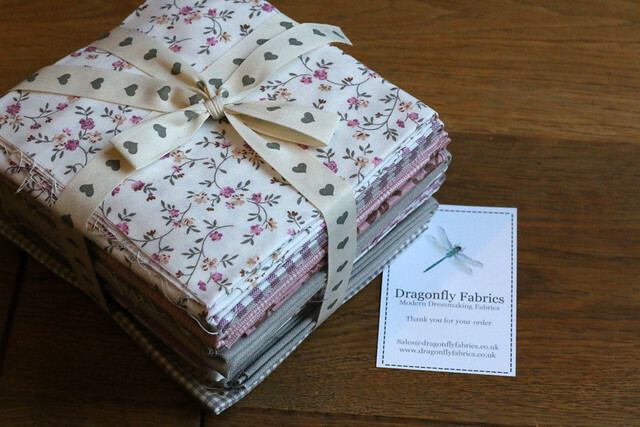 ♥ Dragonfly Fabrics have donated a Fat Quarters Bundle of Westfalenstoffe printed cottons. 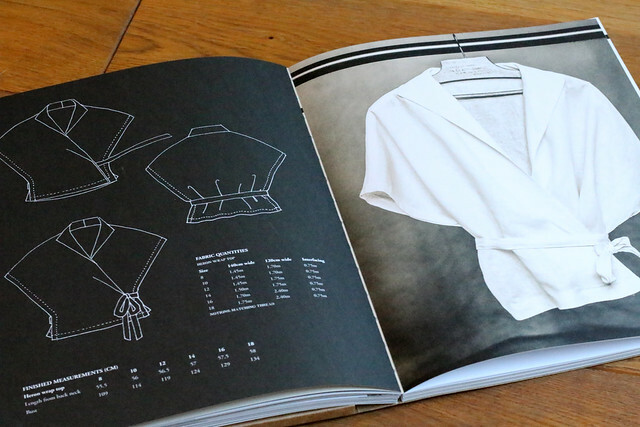 ♥ Tuttle have donated their two latest Japanese sewing books (two copies of each book), Stylish Party Dresses by Yoshiko Tsukiori, and Stylish Remakes by the Violette Room. 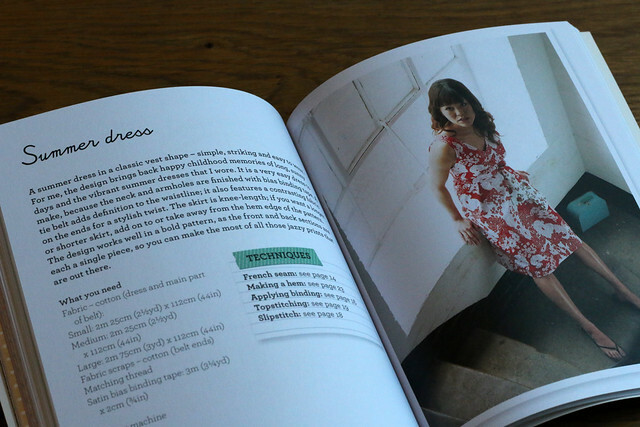 I’ve already sewn a dress from my copy of Stylish Party Dresses and I’m a big fan. 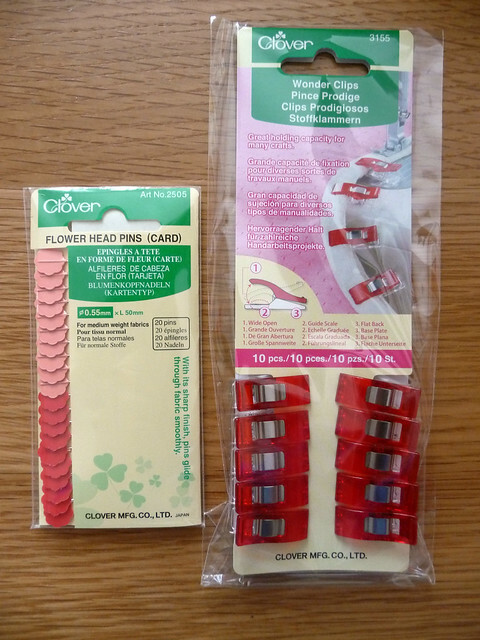 ♥ Clover have donated three sets of haberdashery supplies. 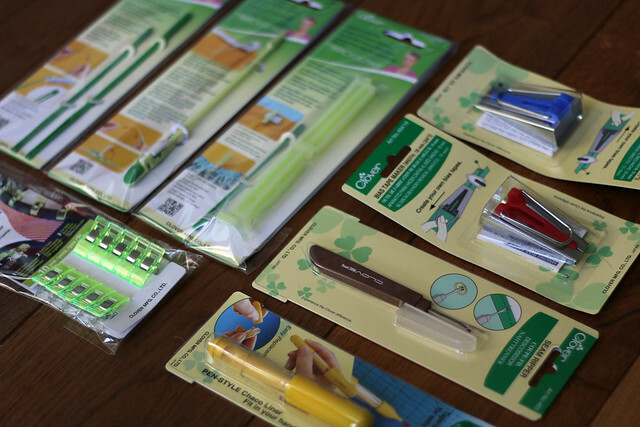 (Each set contains one of the following: 9581 Flex ‘n Glide Bodkins, 9582 Clip ‘n Glide Bodkin, 9583 Elastic Lock Set, 3180 Wonder Clips (Neon Green/10 pcs. 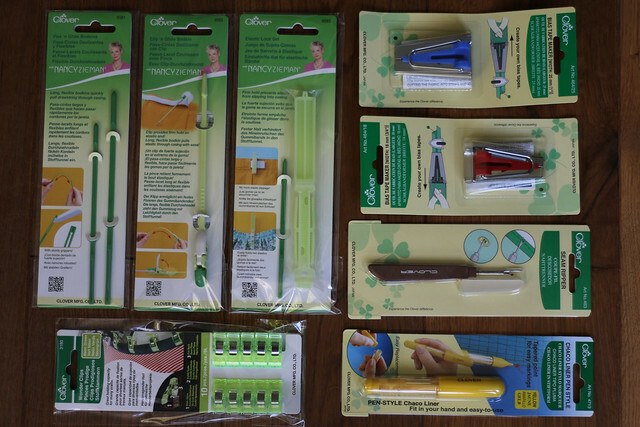 ), 464/18 Bias Tape Maker (18 mm), 464/25 Bias Tape Maker (25 mm), 4713 Chaco Liner Pen Style (Yellow), 463 Seam Ripper). ♥ TOFT have donated two places on their ‘Learn to Crochet Amigurumi’ course. On the course you’ll learn the skills to crochet an animal from the Edward’s Menagerie collection, and will be supplied with tea and a cake;) TOFT have a number of possible dates coming up which the winner could select from, subject to availability (Sat 7th November (AM), Sat 9th January (AM), Sun 24th January (AM), Sat 6th February (AM)). 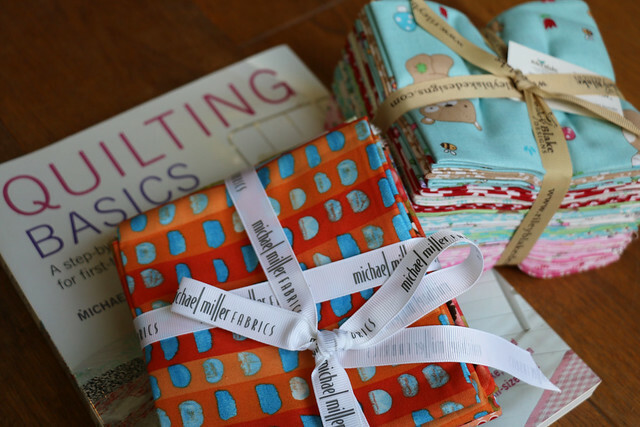 ♥ Craftsy have donated a free class of the winner’s choice. 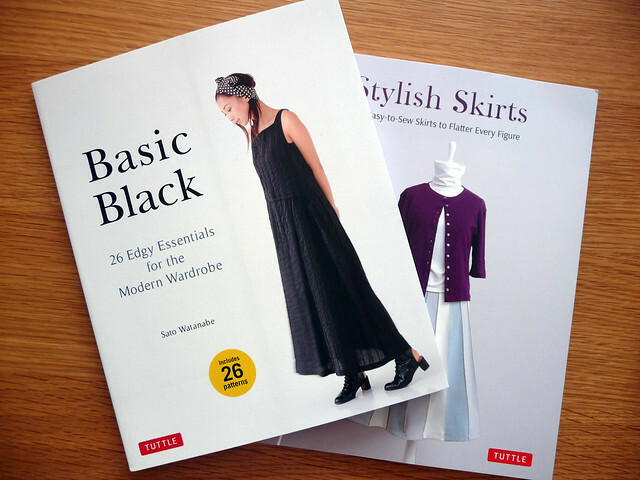 ♥ Quadrille Craft have donated two recent publications: The Fashion Factory by Amanda Riley, and Simple Colour Knitting by Erika Knight. 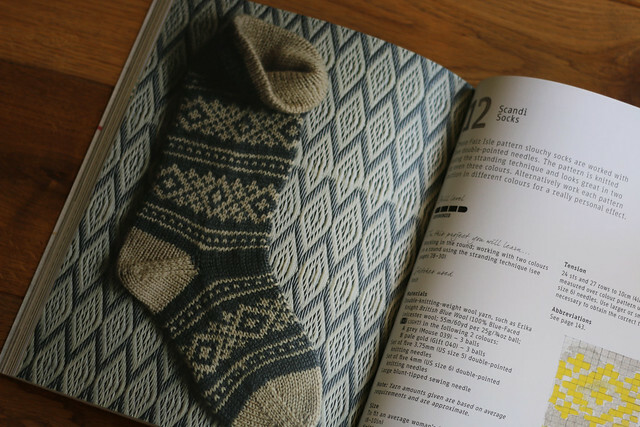 Simple Colour Knitting has some gorgeous home and accessory patterns – pictures below! 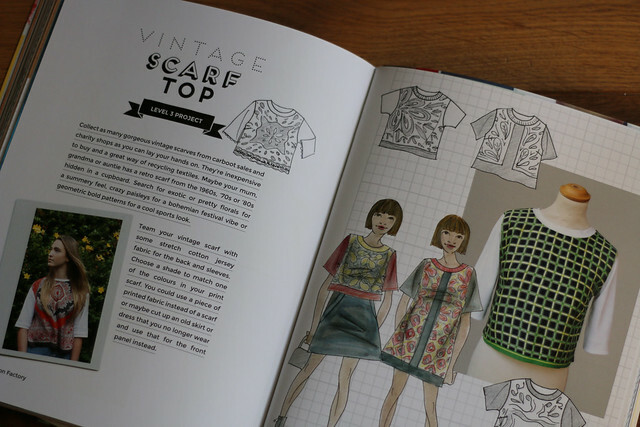 ♥ Laurence King have donated four amazing books: KNIT: Innovations in Fashion, Art, Design by Samantha Elliott, Sewing for Fashion Designers by Anette Fischer, The Sewists: DIY Projects from 20 Top Designer-Makers by Josephine Perry, and The Pattern Sourcebook: A Century of Surface Design by Drusilla Cole. 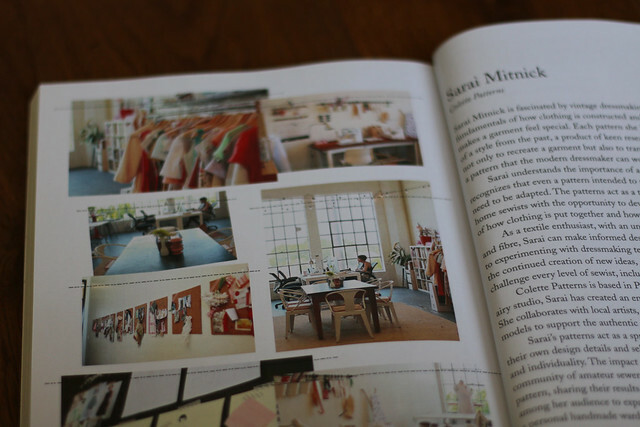 There is so much inspiration in these books! 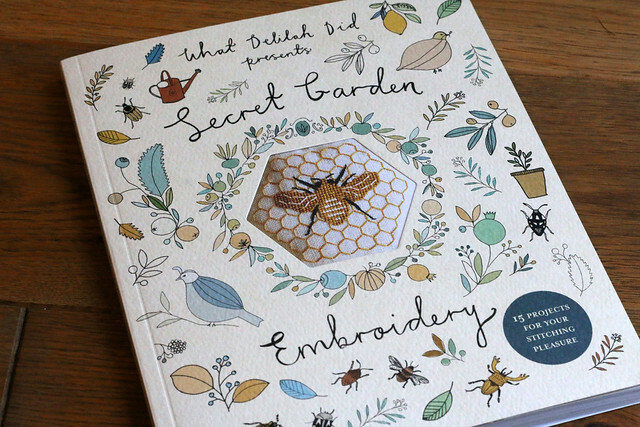 ♥ Pavilion & Batsford are donating five recent sewing books: Merchant & Mills Workbook, Sew Japanese: 20 Charming Patterns for Children by Mariko Nakamura, Secret Garden Embroidery: 15 Projects for Your Stitching Pleasure by What Delilah Did, Quilt Me! 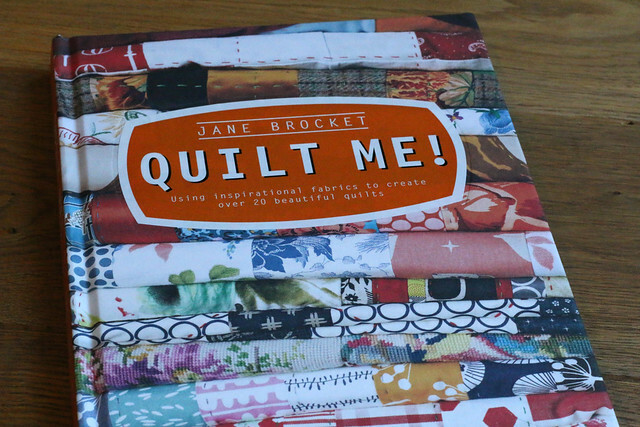 : Using inspirational fabrics to create over 20 beautiful quilts by Jane Brocket, and Hello Sewing! 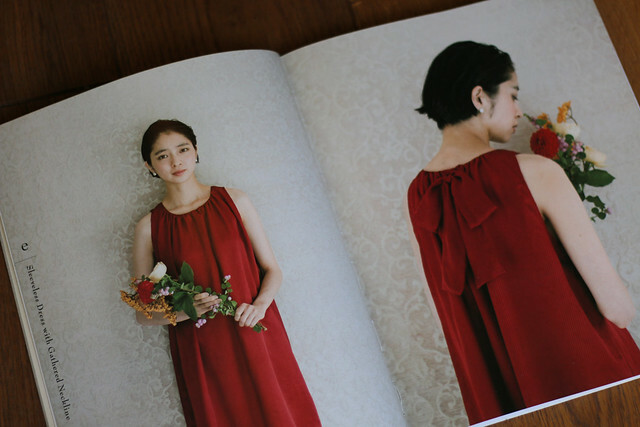 : Simple Makes That are Just Sew by Lena Santana. 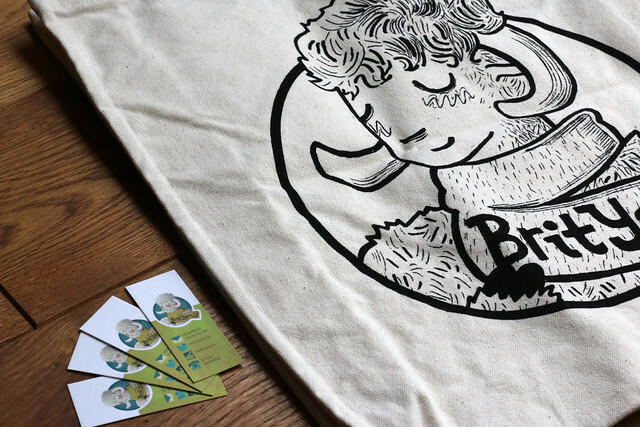 ♥ Brityarn have donated one of their awesome printed canvas bags. 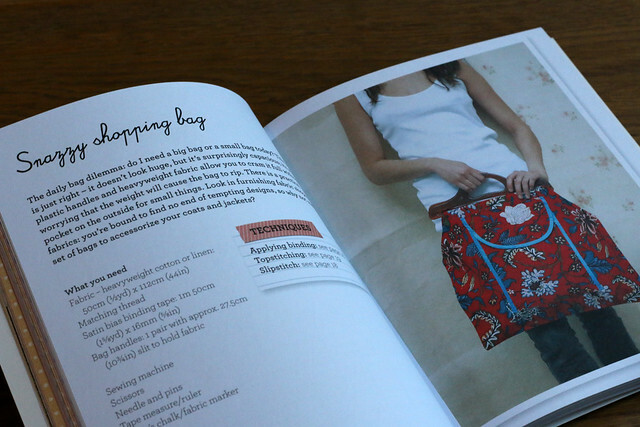 Perfect for transporting your knitting or sewing project! ♥ Tickets to Crafts for Christmas, Stitching, Sewing & Hobbycrafts and Art Materials Live at the NEC, Birmingham. These pairs of tickets can be used any day of the show, which takes place 5-8 November 2015. In addition to lots of lovely stalls, the show will feature the world’s largest knitted Christmas tree (25 feet tall!) 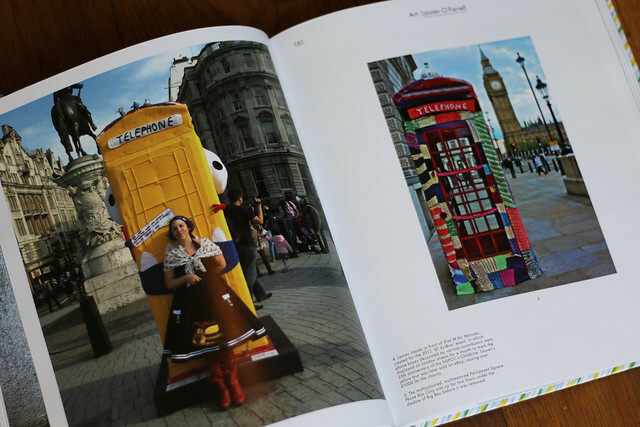 created by Allison Murray and 700 volunteer knitters, and a knitted Gingerbread Grotto, which includes a knitted bed, dresser, chairs, pictures, table and stove. 500 knitters around the world contributed to create the grotto to raise money for Great Ormond Street Hospital. 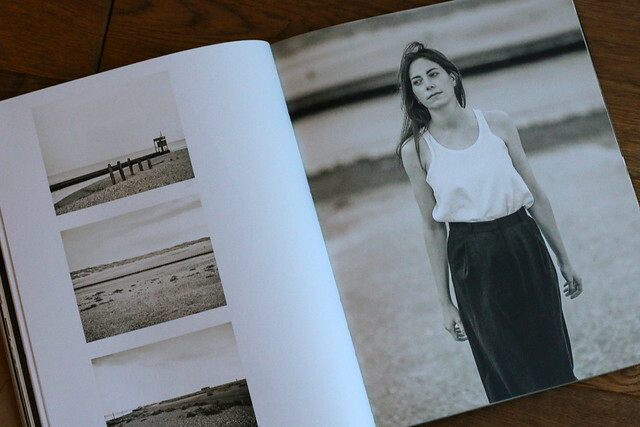 ♥ Pompom Quarterly Summer 2014 issue I’m a Pompom subscriber and big fan. 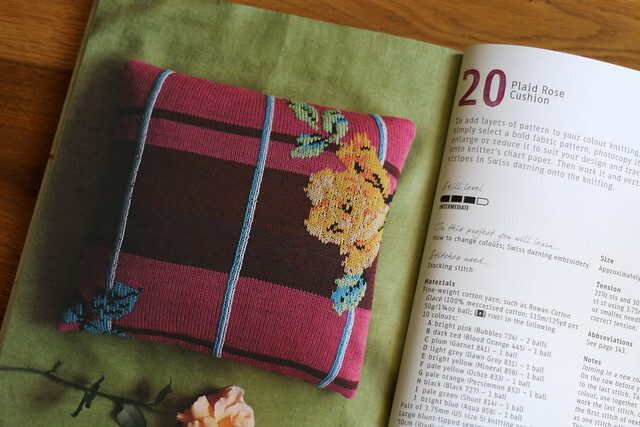 The donated issue includes 7 knitting/crochet patterns (including shawls, tops and a blanket), plus a tee sewing pattern. Pictures of some of the prizes are included below. If you fancy joining us, you can sign-up for the meet-up here. 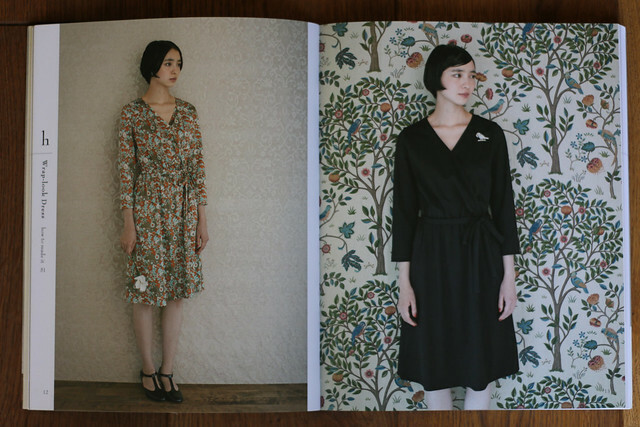 Tuttle Stylish Party Dresses by Yoshiko Tsukiori. 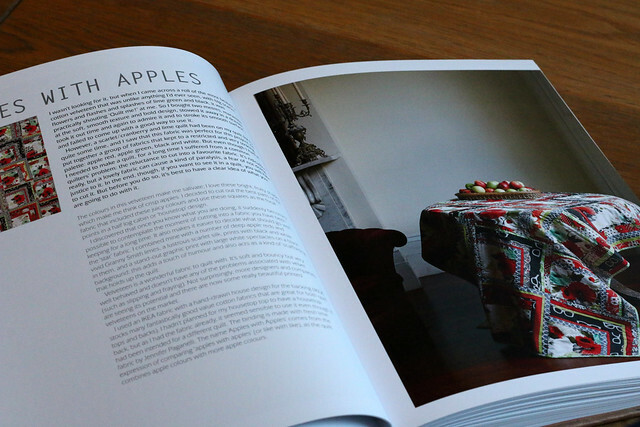 My review of the book can be found here. 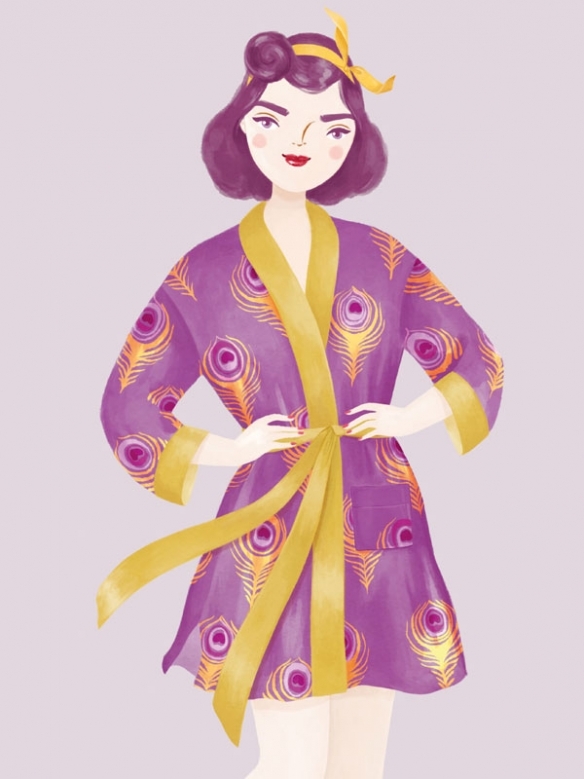 Stylish Remakes by the Violette Room. 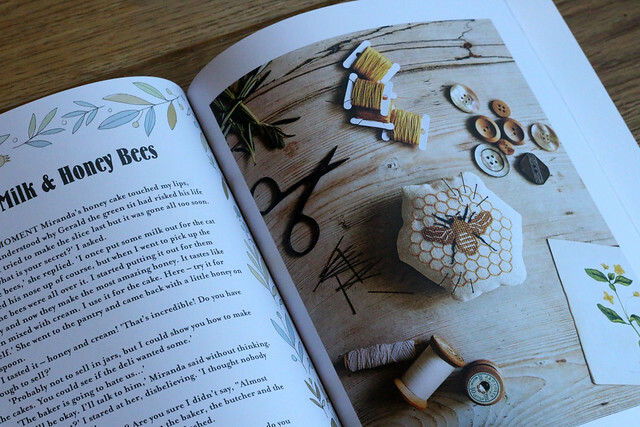 Quadrille Craft The Fashion Factory by Amanda Riley. 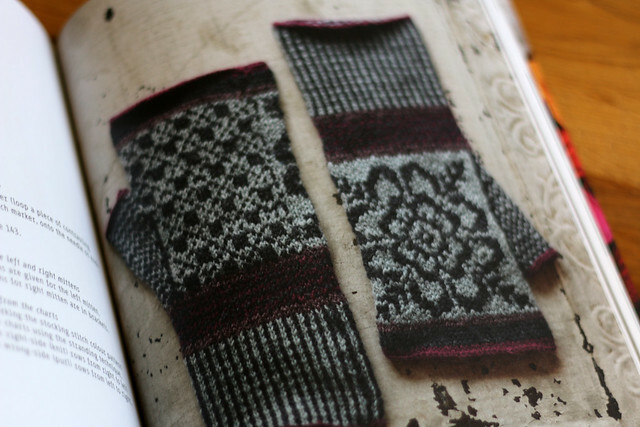 Simple Colour Knitting by Erika Knight. 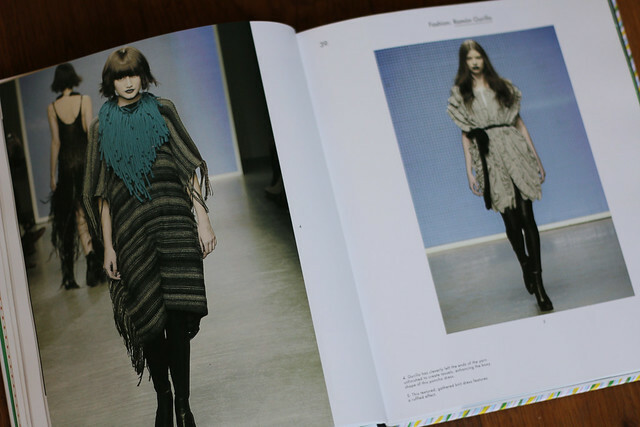 Laurence King KNIT: Innovations in Fashion, Art, Design by Samantha Elliott. 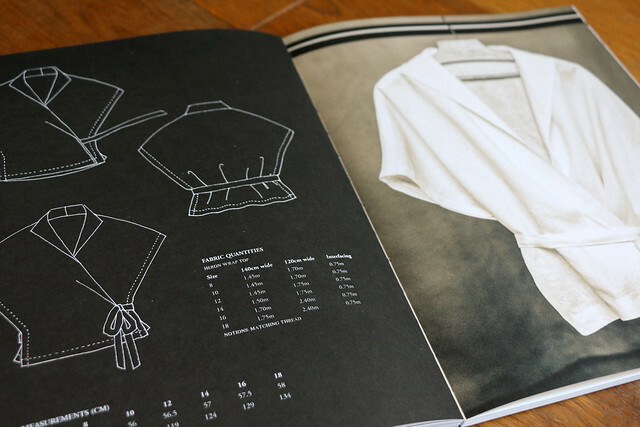 Sewing for Fashion Designers by Anette Fischer. 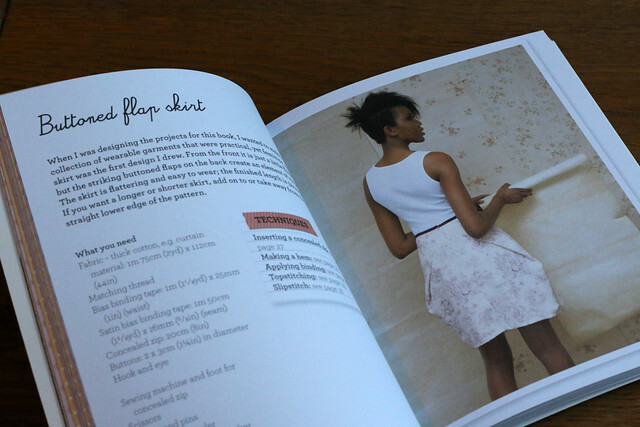 The Sewists: DIY Projects from 20 Top Designer-Makers by Josephine Perry. 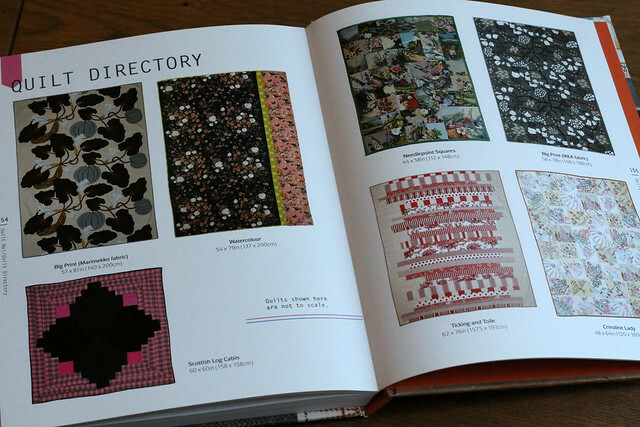 The Pattern Sourcebook: A Century of Surface Design by Drusilla Cole. 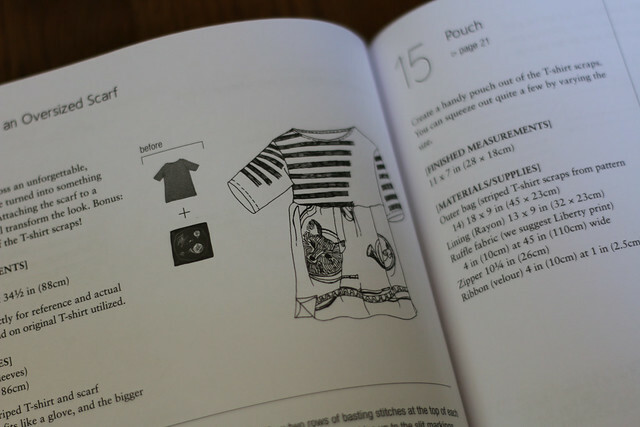 Categories: sewbrum | Tags: #sewbrum, Birmingham, meet-up, raffle, sew, sewing | Permalink. 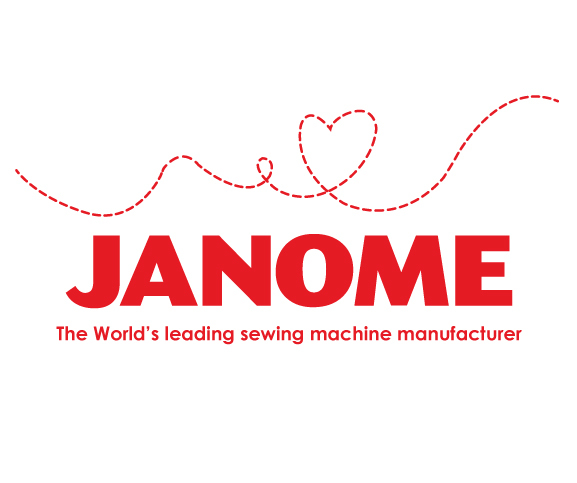 During the SewBrum sewist meet-up taking place on Saturday 04th October we’ll be holding a raffle to raise money for Parkinson’s UK. The raffle will take place in the afternoon at Guthrie and Ghani in Moseley. 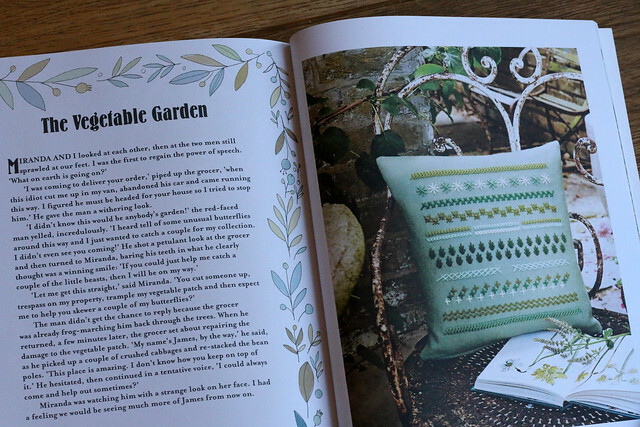 Lots of lovely companies have generously donated prizes and I thought it was about time I showed them all off. 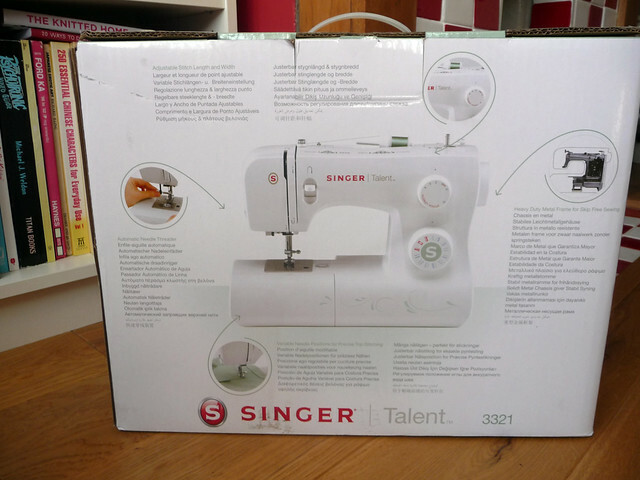 OK, so Singer have donated a sewing machine! This is the Singer Talent, model 3321. 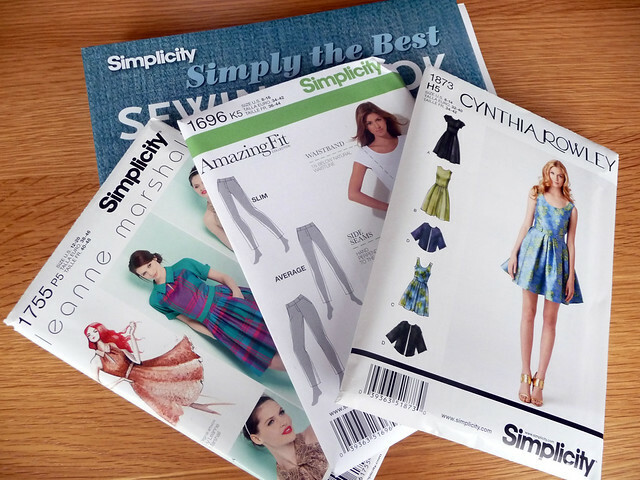 Simplicity have donated three patterns (1755, 1696, 1873) and their Simply the Best Sewing Book. 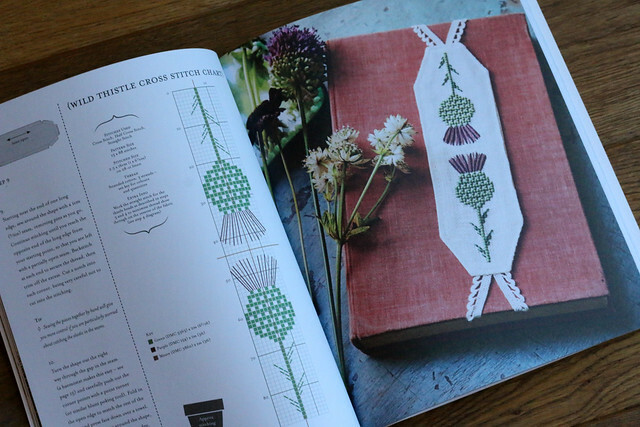 I’ve seen great versions of all three of these patterns online, including Amy’s version of 1755. 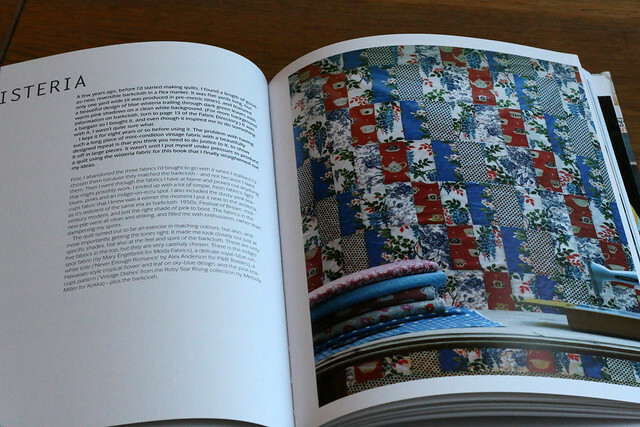 Quadrille have donated both Great British Sewing Bee books. 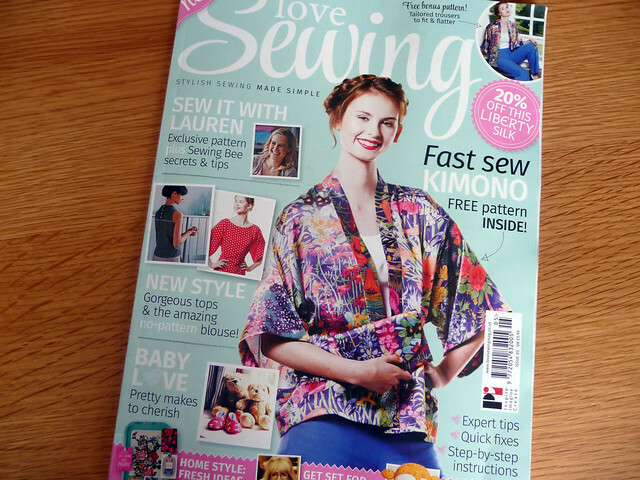 Have you been reading Love Sewing magazine? 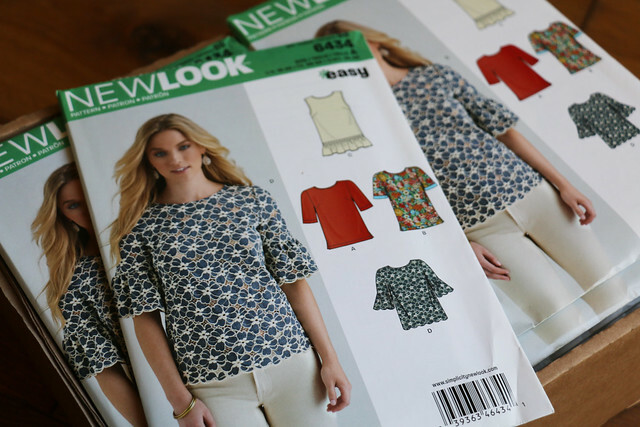 They have donated a subscription to the magazine which features lots of dressmaking patterns. The magazine also features a certain meet-up in their current September issue! 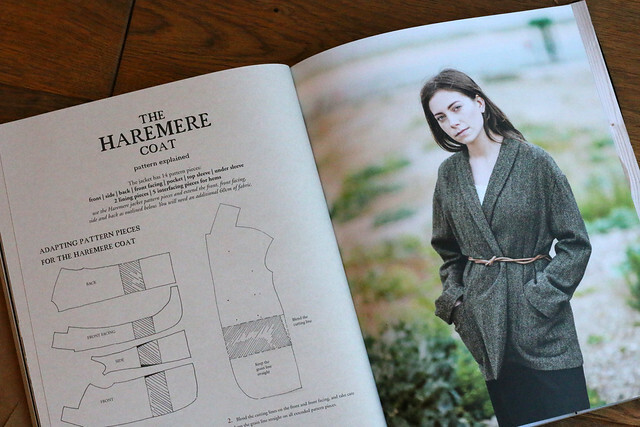 Gather have donated a paper copy of their hot-off-the-press pattern the Buchanan dressing gown. 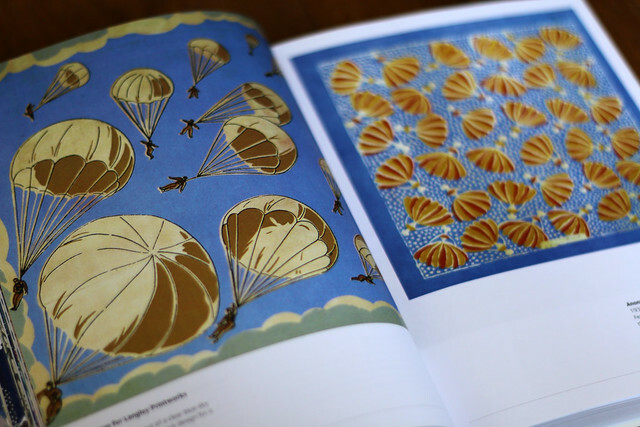 I’m looking forward to seeing this pattern made up and I’m totally crazy about the artwork. 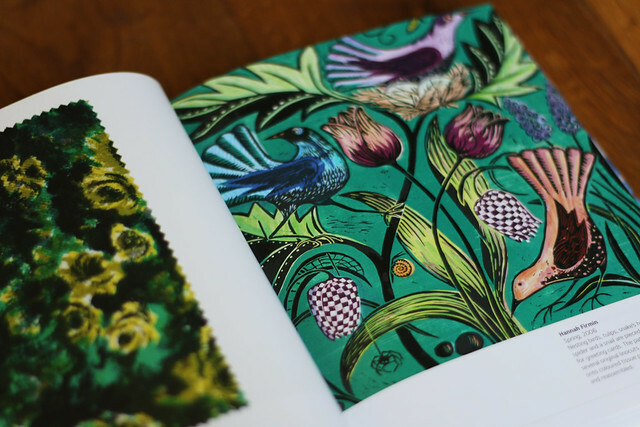 (Image courtesy of Gather). 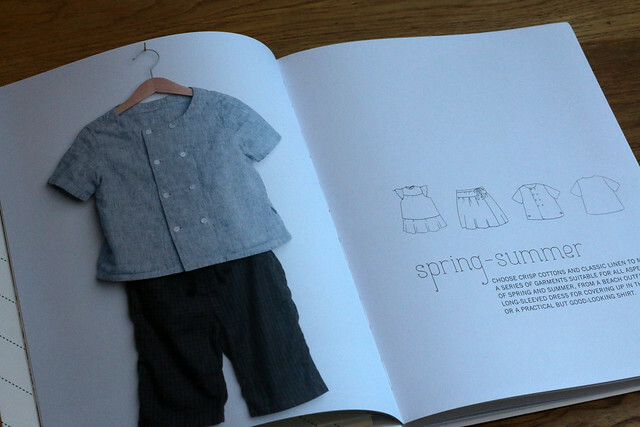 SewOverIt have donated two paper patterns, the Betty Dress and Ultimate Trousers. 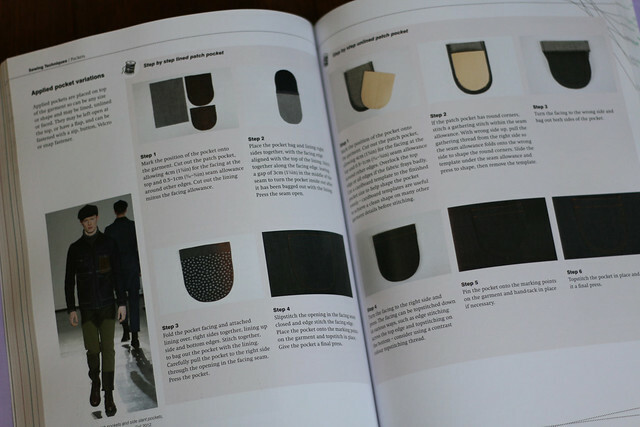 I’ve seen loads of great Ultimate Trousers popping up on blogs lately. 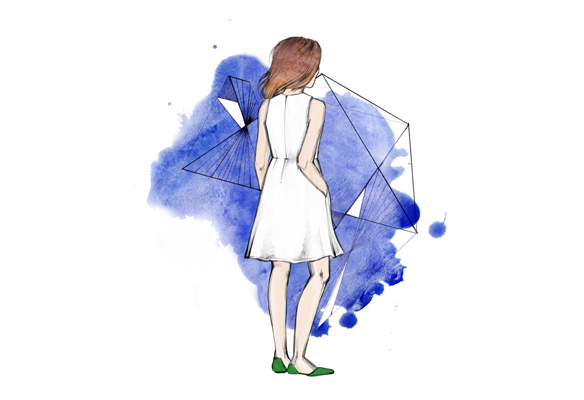 Hannah from Sinbad & Sailor has donated a Hepworth Dress PDF pattern. Have you seen Winnie’s lovely versions of the Hepworth? (Image courtesy of Sinbad & Sailor). 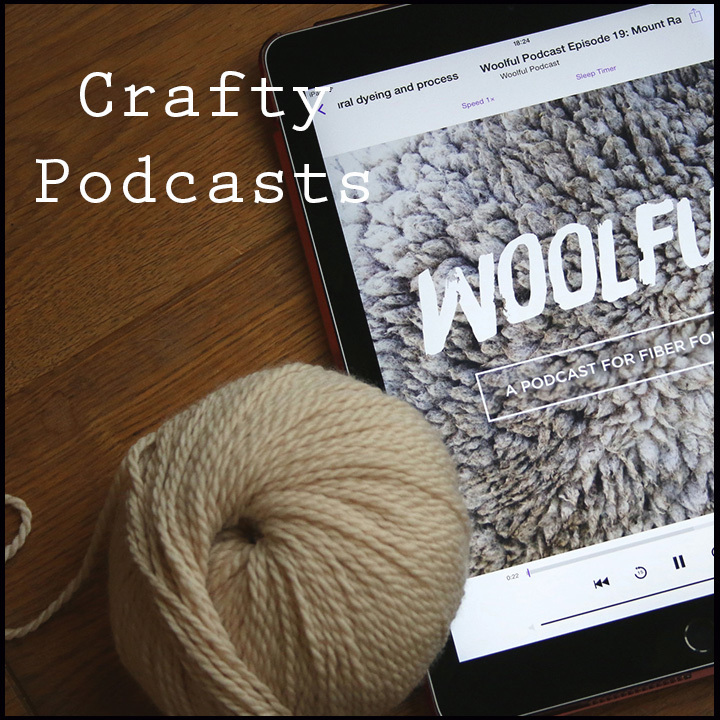 Craftsy have donated enrolment on a class of the winner’s choice. 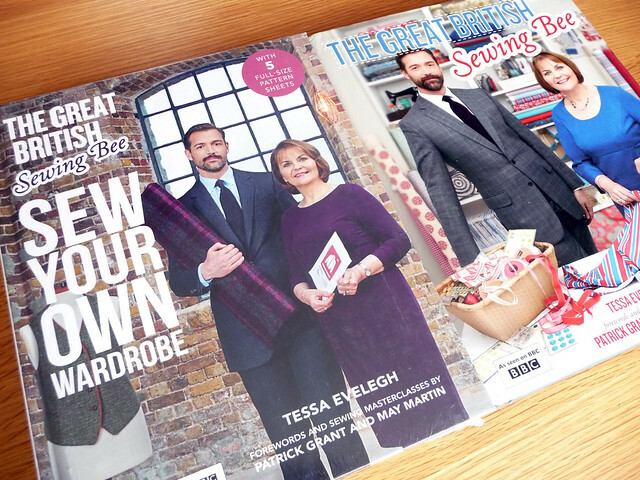 There are plenty of sewing classes to choose from – have you been reading Tasha’s recent reviews of a number of Craftsy classes? 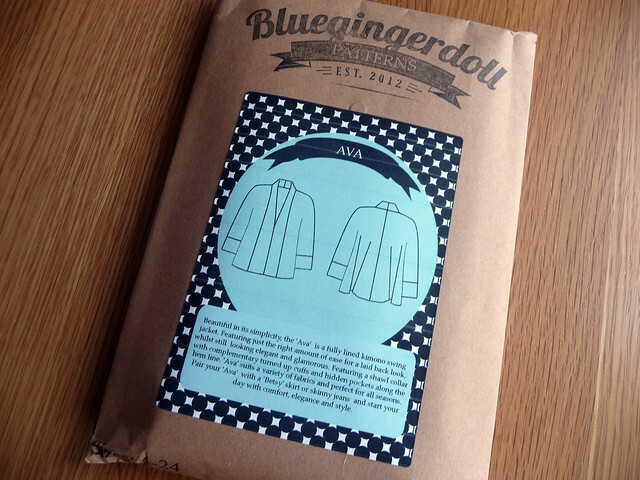 Abby from Blue Ginger Doll has donated a paper copy of the glamorous Ava Jacket pattern. 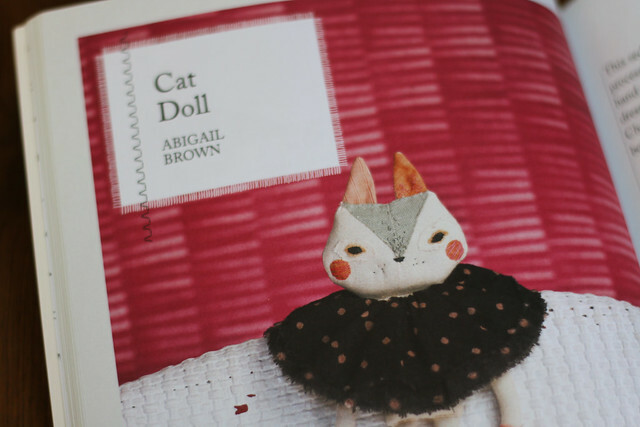 Andrea made a very cute red version when the pattern was released. 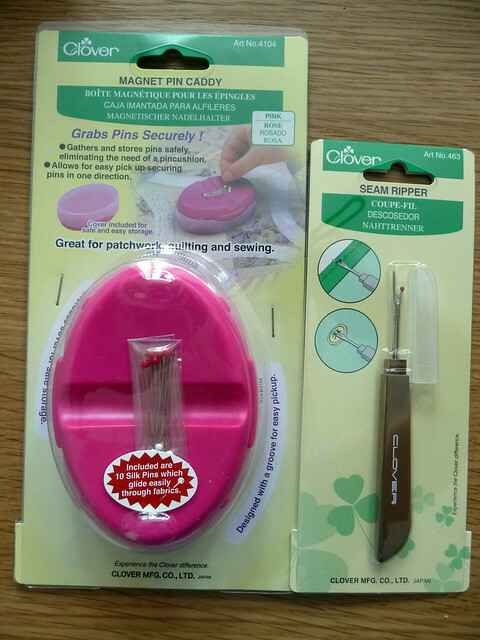 Clover have donated three sets of sewing supplies. 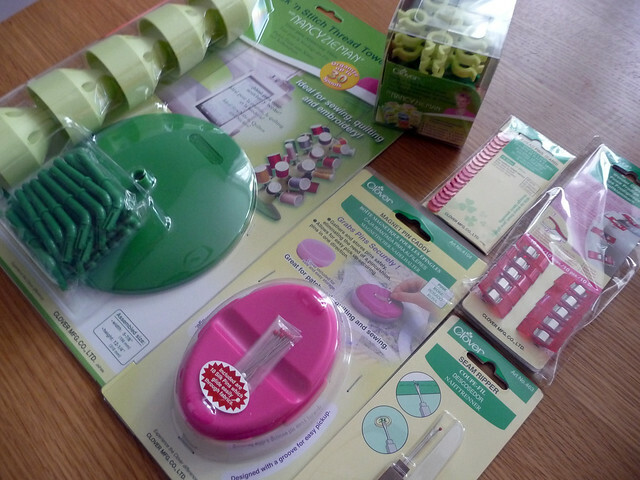 Each set includes: Magnetic Pin Caddy, Seam Ripper, Wonder Clips, Flower Head Pins, Bobbin Tower, Thread Tower. I really love the magnetic pin caddies, especially in pink. Maybe I’d leave less pins lying around for Phil to sit/step on with one of these! 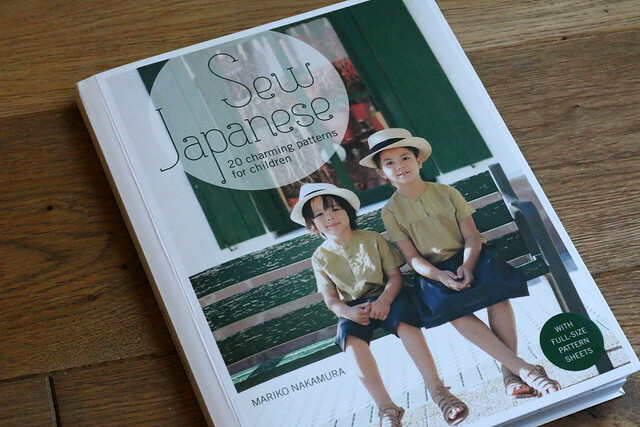 Tuttle have donated two Japanese sewing books (in English) by Sato Watanabe. 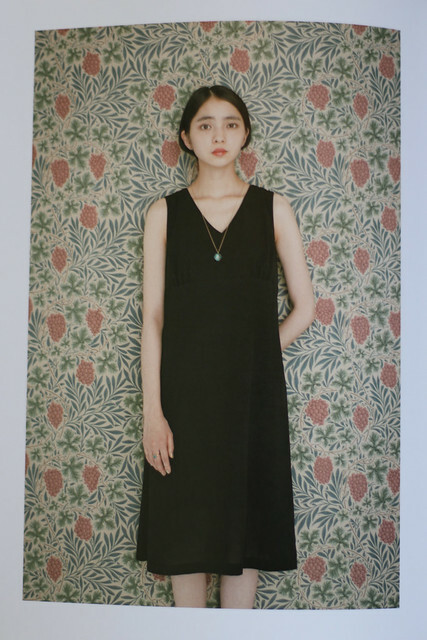 Basic Black which features a wide variety of patterns and Stylish Skirts which features a multitude of skirt patterns. 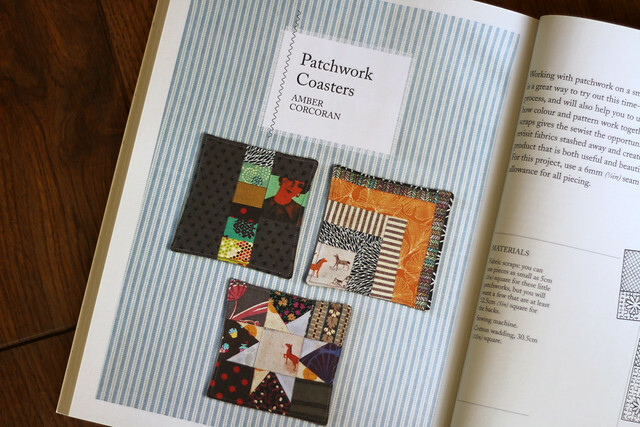 Lauren Dahl has donated a course enrolment to Pattern Workshop. 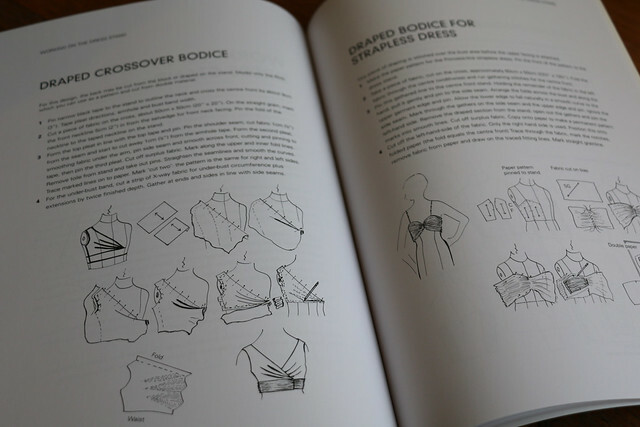 I’m a Pattern Workshop student and highly recommend it if you have any interest in designing sewing patterns. 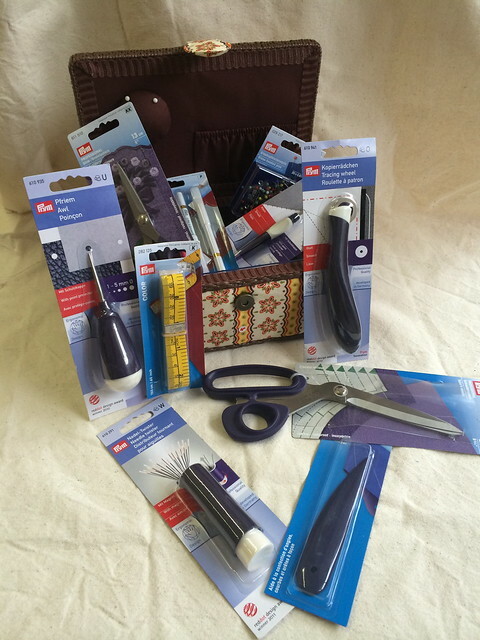 Prym have donated a sewing box and whole host of sewing accessories to fill it with. 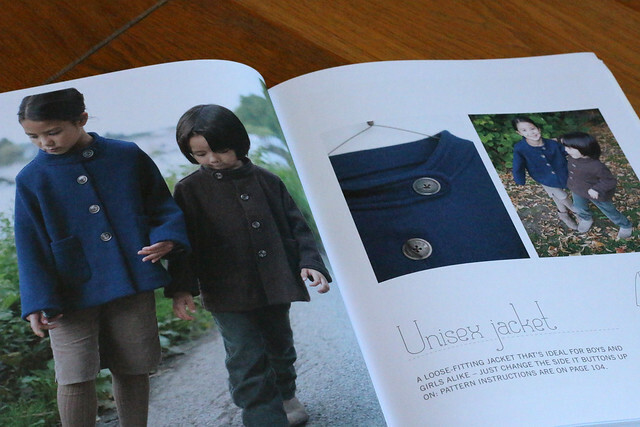 Pauline Alice has donated three sewing patterns of the winner’s choice. 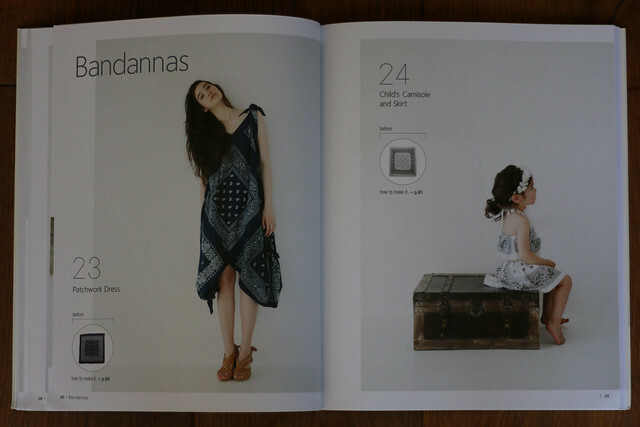 Perhaps a chance to try the new Turia Dungarees pattern? Pauline recently posted a round-up of some of the Turia’s that have shown up online so far. 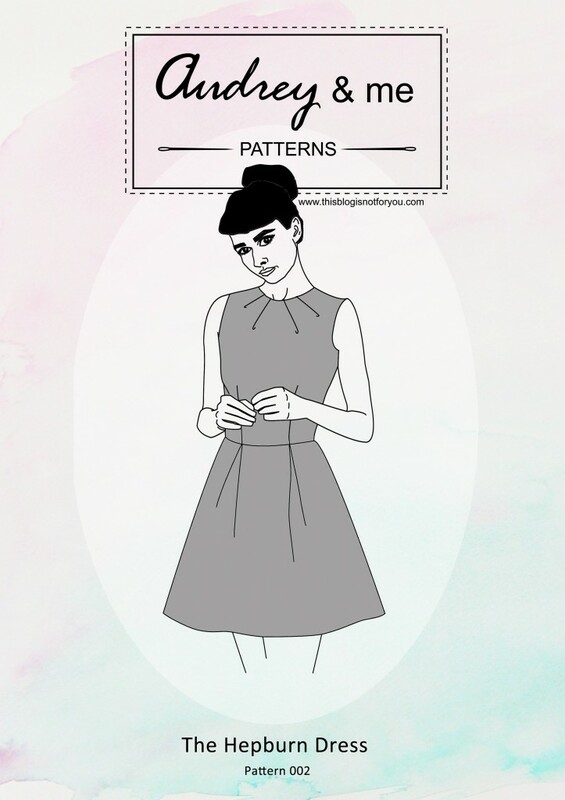 Charlie from This Blog is Not For You has recently launched her pattern company Audrey & Me Patterns, and has donated a set of her first PDF patterns under the label, the Hepburn Dress and Skirt. 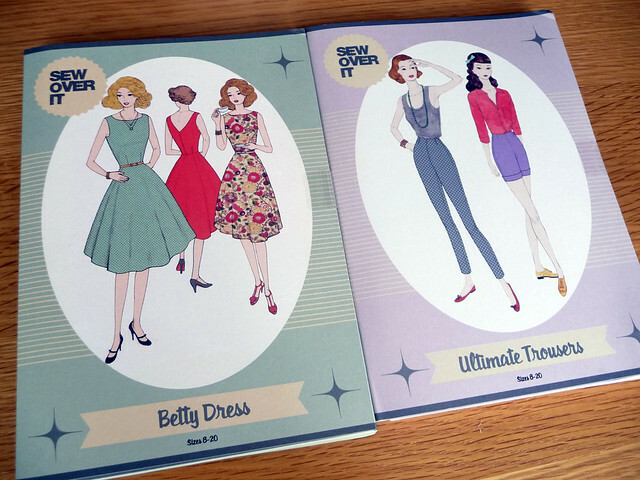 Charlie has made some lovely versions of her patterns & I also love Daniela’s version of the Hepburn dress. 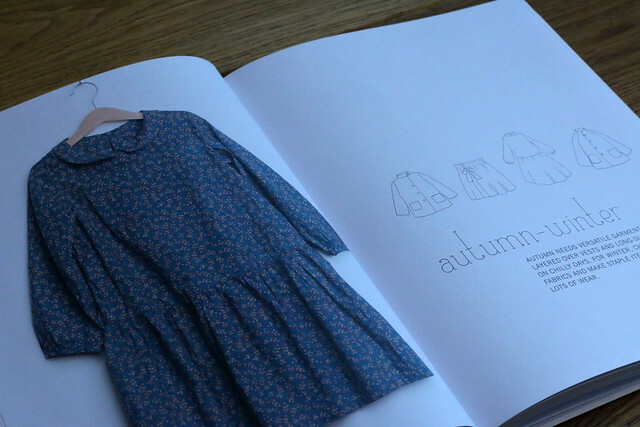 Marilla Walker has donated a copy of her brand spanking new Maya dress and top pattern. 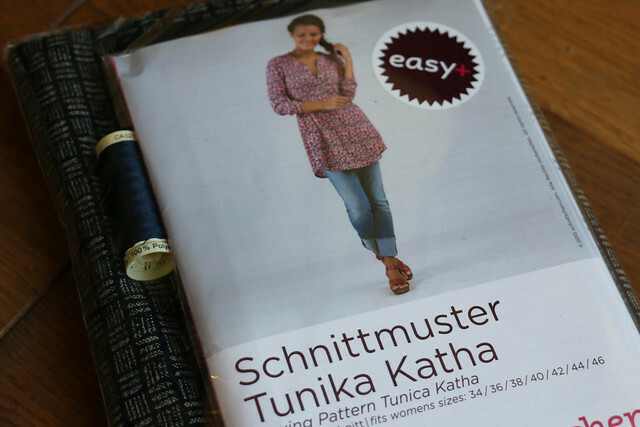 In fact this pattern is so new it’s not yet released:) Marilla has printed a copy of the PDF pattern for the winner & also provided some Merchant & Mills chambray to make a Maya with. Tickets for the raffle will be sold on the day at the SewBrum meet-up. To join us for the meet-up sign-up here. 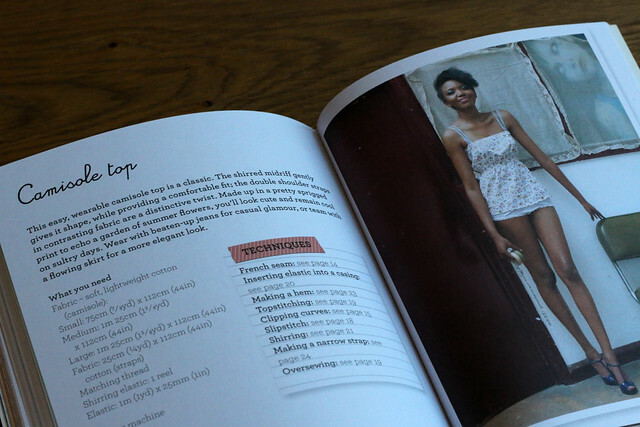 Categories: Sewing | Tags: #sewbrum, Birmingham, charity, meet-up, Moseley, raffle, sew, sewing, sewist | Permalink.